A light-filled café overlooking Veale Gardens on South Terrace, Where We Met draws from Ben Allen's 14 years in hospitality and the community focus of his family's former business, Nature's Providore on Duthy Street. 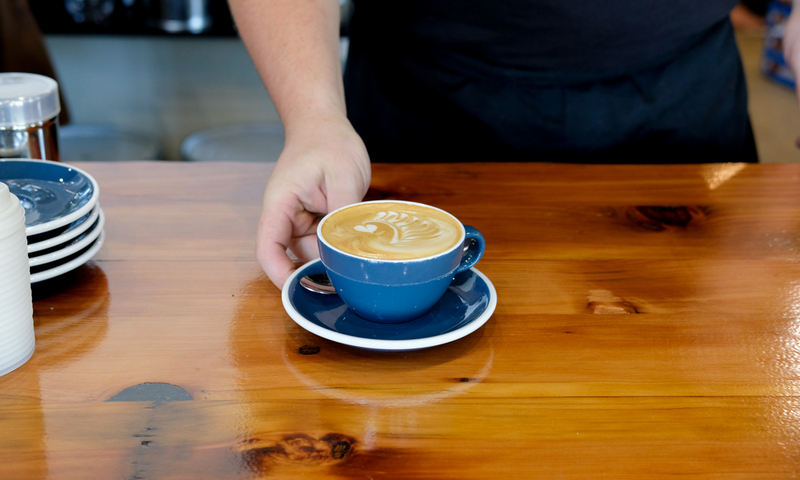 In a light-filled ground floor space on South Terrace, Adelaide barista, and now business owner, Ben Allen, has opened Where We Met – a community-driven café based off of Ben’s extensive 14-year history in the industry. Floor-to-ceiling windows look out onto Veale Gardens, the fit out left deliberately sparse to showcase the incredible Parklands views. From the shop’s low timber countertop, a La Marzocco Modbar system peeks up – a deliberate choice of café equipment by Ben. Where We Met officially launches on Tuesday, 11 December (but if you stop by on Friday, 7 December, you might just get lucky). “The reason for the Modbar is to eliminate that barrier, because I want people to come sit at the bar, watch the process, ask questions,” he says. 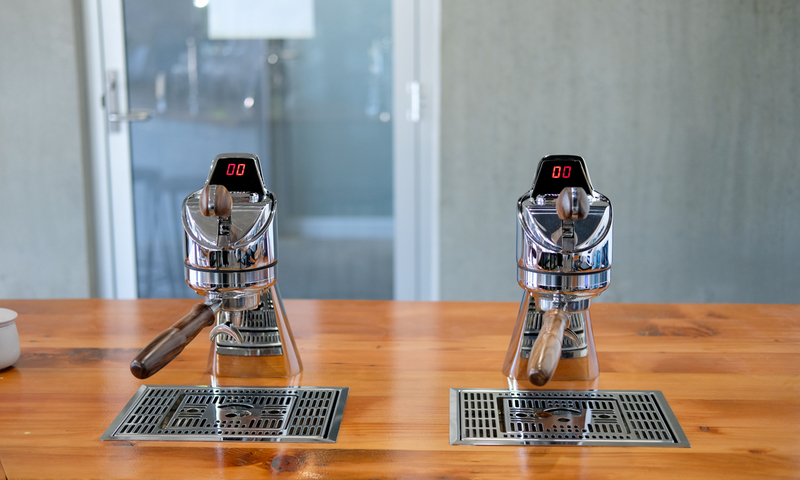 The coffee comes from Kangarilla Roastery Dawn Patrol, with a seasonal single origin for milk coffee and two regularly rotating single origins for black espresso and filter options. The café will also act as the CBD home base for Dawn Patrol, which has not had a consistent retail presence in the city since the closure of SAD Café in Ebenezer Place. “The boys at Dawn Patrol have hooked me up with all the equipment,” Ben says. The food offering will start basic, drawing from a similar ethical and organic ethos as Nature’s Providore, the Duthy Street café Ben’s family owned and ran up until two years ago. “Initially it will be a lot of simple stuff like tomato bruschetta, avocado on rye, beautiful spelt crust ricotta tarts, frittatas, beautiful toasted sandwiches, Bircher, chia, granola – those things that are simple, quick, easy to do,” Ben says. “Heavy emphasis on local, seasonal, ethical, organic where possible… We buy a lot of stuff from the growers’ markets on Sundays. Where We Met has been a long time coming for Ben. He’s searched for spaces over the last eight years, and the influences that inform his business come from his time in venues such as Coffee Barun, Coffee Branch, Bracegirdles, Karma and Crow, Devour, The Maling Room in Melbourne, Nature’s Providore, and Tell Henry’s Kent Town outpost. As the name suggests, the café is an homage to the kinds of connections that can occur in hospitality, the friendships that can be created and sustained over a cup of coffee. “When we had Nature’s Providore, there was that heavy focus on wanting our customers to feel like more than just customers, to feel like they’re more than just a dollar figure, that they’re part of the business,” Ben says.